Cross-posted at the Catholic Standard: Why Didn’t Christ Stay with His Disciples Continually from the Resurrection to His Ascension? God raised Jesus from the dead on the third day and granted that he be visible, not to all people, but to us, the witnesses chosen by God in advance, who ate and drank with him after he rose from the dead. He commissioned us to preach to the people and to testify that he is the one appointed by God as judge of the living and the dead (Acts 10:41-42). Note that Jesus did not appear openly to all but rather only to some. Why? It is so different from what most of us would do! If I were God (and it is very good for you that I am not), I would rise from the dead very dramatically. Perhaps I would summon people to my tomb with trumpet blasts and then emerge amid great fanfare (including a multitude of angels), inspiring awe and striking fear in the hearts of the enemies who had killed me. Or maybe I would ride down on a lightning bolt right into the temple precincts and then go up to the high priest and tell him to seek other employment. Surely it would be an event that would never be forgotten! It would draw many to faith, would it not? Yet the Lord does none of this! 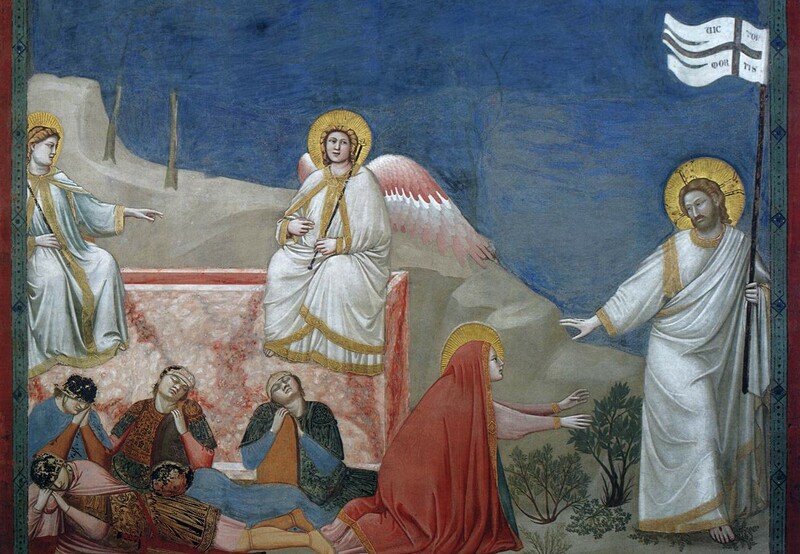 Not only did He appear only to some after His resurrection, but the dramatic moment of the resurrection itself was apparently witnessed by no one at all. Instead of emerging from the tomb in broad daylight to the sound of trumpets, the Lord seems to have come forth before dawn to the sound of nothing but crickets chirping. Although St. Matthew mentions an earthquake causing the rolling back of the stone and the guards being stunned into unconsciousness, it appears that Jesus had already risen from the dead before the stone was rolled back. Such a hidden event! It was the greatest event the world has ever known, and yet it was hidden from human eyes. No, this is not our way at all; Cecil B. DeMille, the great Hollywood director of epic movies, would not be pleased. He appeared to more than five hundred people at once, yet no details are supplied! Where did it happen? When? What did the Lord say? What did He do? Then there are the resurrection appearances that never happened (but to worldly minds should have): Jesus’ appearance to His accusers and persecutors, to Caiaphas, to the Sanhedrin, to Pilate, to all who jeered at Him as He hung on the cross. Surely, they deserved a good dressing down—and it probably would’ve been good for them as well. Who knows, maybe they would have fallen to their knees and converted on the spot; maybe they would have worshiped Jesus. Such are my thoughts on the strange and hidden quality of the resurrection. Why was it so hidden? Why so selective an audience? Ultimately, I can only venture a guess, a kind of theological hunch, if you will. My speculation is rooted in the identity of God: God is love (1 Jn 4:16). Love is not merely something God does, nor is it just one of His many attributes. Scripture says that God is love. It is in the nature of true love (as opposed to lust) for the lover to invite (or woo) his beloved rather than overwhelming, coercing, or forcing. The lover wants to be loved, but forcing his beloved into a fearful love would mean not receiving true love in return. It is Satan’s nature to pressure, tempt, and overwhelm us in order to get us to sin. He is loud and loves to use fear as a motivator. In contrast, God whispers. He calls us and gently draws us in. He provides evidence and supplies grace but does not overwhelm us with fearsome or noisy events. He is the still, small voice that Elijah heard after the fire and the earthquake (1 Kings 19:12). He has written His name in our hearts and whispers there quietly: Seek always the face of the Lord (1 Chron 16:11). At times He permits our life to be shaken up a bit, but even then it is more often something that He allows rather than directly causes. God is generally not interested in making loud, flashy entrances or humiliating His opponents. He does not have a big ego. Even if He chose to compel the Temple leadership to worship Him by using shock and awe, it is unlikely that their faith response would have been genuine. Faith that needs to “see” isn’t really faith; one doesn’t need faith to believe what can be plainly seen. Thus, the Lord does rise from the dead and He does supply evidence to witnesses who had faith—at least enough faith to be rewarded. He then sends these eyewitnesses to us, supplies His graces, and provides us with other evidence so that we can believe and love. None of this, however, is done in a way that overwhelms us or forces us to believe. God is love and love seeks a free and faithful response. The hiddenness of the resurrection is an example of tender love. There’s only so much that the human person can take. So, the Lord rises quietly and appears (but only briefly) to some and then seems to withdraw—almost as if respectfully giving them time to process what they have experienced. He gives them time to deepen their faith and to come to terms with what was for them a completely new reality, one that would change their lives forever. How different this is from the way we operate! So many of us think in terms of power, fame, glory, vindication, and conquest. How different God is! He is so often tender, hidden, and quiet. He doesn’t need to get “credit” for everything He does. He doesn’t need to crush His enemies. Rather, ruing the day on which their no might become a forever no, He works to win their love, always aiming for their conversion. Until our final breath, He is always calling, willing, and giving grace. His mercies how tender, how firm to the end, our maker, defender, redeemer, and friend. Why was the resurrection so hidden? God is love, and love woos; it does not wound. It invites; it does not incite. It calls; it does not crush. It respects; it does not rule or seek revenge. Yes, God is love. Listen! My beloved! There he stands behind our wall, gazing through the windows, peering through the lattice … [He speaks to her and says,] “Arise, my darling, my beautiful one, come with me” (Song 2:9-10). 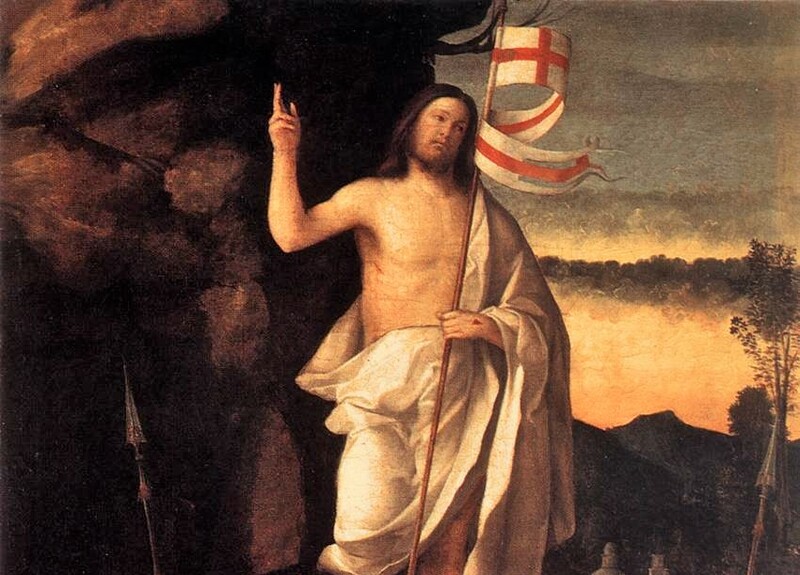 Cross-posted at the Catholic Standard: Why Was the Resurrection Such a Hidden Event? Do not cling to me, for I have not yet ascended to the Father; but go to my brothers and say to them, “I am ascending to My Father and your Father, to My God and your God” (John 20:17). There is much to ponder and distinguish here. The latter sounds almost rude. The Greek expression Μή μου ἅπτου (Me mou haptou) is best rendered, “Do not go on clinging to me” because haptou is a verb in the middle voice. The middle voice is one that English lacks. It is midway between the active and passive voices and indicates that the subject of the verb (in this case, Mary) both acts and is acted upon. Mary lays hold of the Lord but needs to do so because something is different. Something deeper is being shown to her and she is missing that. Mary actively sees Jesus but passively needs to receive something new about Him. This is the middle voice, containing elements of both the active and the passive. Further, as Strong’s Greek dictionary sets forth, ἅπτω (haptou) means “to fasten to,” “to adhere to,” or “to cling to.” What the Lord asks of Mary is that she not merely cling to what is familiar but step back and see what is new. Jesus is no longer a mere rabbi or teacher. He is not merely the Jesus she knew; He is Lord and He is risen. Second, we must ponder what Jesus means when He says that He is ascending. [Augustine says] “… Jesus would have us to believe in Him, i.e., to touch Him spiritually, as being Himself one with the Father. For to that man’s innermost perceptions He is, in some sort, ascended unto the Father, who has become so far proficient in Him, as to recognize in Him the equal with the Father … whereas she as yet believed in Him but carnally, since she wept for Him as for a man.” Or as Chrysostom says (Hom. lxxxvi in Joan. ): “This woman wanted to converse with Christ just as before the Passion, and out of joy was thinking of nothing great, although Christ’s flesh had become much nobler by rising again.” And therefore He said: “I have not yet ascended to My Father”; as if to say: “Do not suppose I am leading an earthly life; for if you see Me upon earth, it is because I have not yet ascended to My Father, but I am going to ascend shortly.” Hence He goes on to say: “I ascend to My Father, and to your Father” (Summa Theologiae III, Q. 55, Art. 6, Reply to Obj. 3). In other words, Jesus’ ascent must take place in Mary (and in every other follower). He is far more than a man resuming mortal nature. He is more; He is Lord. We must come to see Him as Lord and God. He must ascend in our sight. We must see Him at a higher level and in a higher way. He is no mere sage or rabbi; He is Lord and God! He must ascend in this way, in our understanding. In Jesus’ public ministry, Mary had rightly reverenced Jesus as teacher and rabbi, but Jesus the Lord is doing more now than merely leading an earthly life and fitting into earthly categories. When Mary Magdalene has done this, she runs to the apostles and says, “I have seen the LORD” (Jn 20:18). I show the word “LORD” in uppercase in this quote because up until this point, Mary used the word “Lord” as a title of human respect. She said, “They have taken my Lord and I don’t know where they have put Him.” Of course, one doesn’t take Him and put Him anywhere! He is LORD, and He does as He pleases. No longer clinging to Him in merely a familiar way, Mary now says, “I have seen the LORD,” meaning it in a plenary and divine sense. For Mary, the Lord is ascending. She is seeing Him in a higher way. The Lord has ascended for Mary Magdalene. Has He ascended for you? Finally, what of the Lord’s expression that He is ascending to “My Father and your Father, to My God and your God”? In English, we can use the word “and” in either an equivalent or a comparative sense. I could say to someone, “You are my brother and my friend.” This uses the “and of equivalence” because it indicates that you are both a brother and a friend to me in the same or in an equivalent way. Other uses of the word “and” indicate a more comparative sense. When we say that Jesus is Son of God and Son of Mary, we mean that He is the Son of His Father in a different way than He is Son of Mary. He is the Son of both but in very different ways. 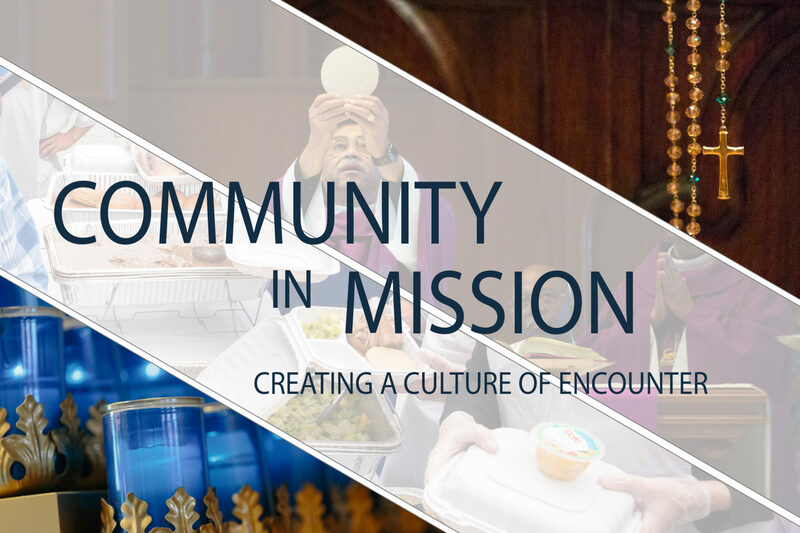 In the liturgy, when the priest says, “Pray, brethren, that my sacrifice and yours may be acceptable to God the almighty Father,” he indicates that while his sacrifice and the sacrifice of the people are both sacrifices, they are sacrifices in different ways. The priest acts in persona Christi capitis (in the person of Christ the head), while the faithful act as members of the body. Both are rightly called sacrifices, but they are so in different ways. Thus, when Jesus says that He is ascending to “My Father and your Father,” He does not use the “and of equivalence” but the “and of comparison.” As a man, Jesus can speak of God as His Father, but His human nature is hypostatically united to His divine nature as God, the Second Person of the Trinity. So, although God is our Father and Christ’s Father, He is Christ’s Father in a far richer and more profound way. Jesus says, “My God and your God” not by way of equivalence, but by way of comparison. In all these ways, the Lord Jesus must ascend in our understanding. He will do that provided we do not go on clinging to Him in a merely human and familiar way. Let the Lord ascend in your life. Cross-posted at the Catholic Standard: What Does Jesus Mean?